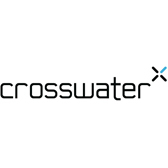 Perfect for getting a head start on your summer tan, leading bathroom brand Crosswater is delighted to introduce their innovative new self-tanning shower valve. Featuring the latest innovative technology, Digi-Tan’s sleek design and digital shower control enables a radiant glow to be achieved at the touch of a button. Understanding that modern technology is all about effortless use, the Digi-Tan self-tanning shower offers a variety of custom non-streak options from a light or medium fake tan to beautiful dark bronze. The built in memory can store individual settings for up to three people and the quick to install app enables users to warm the shower and pre-set their preferred tan level before stepping in. Electronically controlled, the digital shower spray also allows for easy and even application from the comfort of your own home. Use alongside Simpson’s new pioneering ultra thin ceramic shower tray. The innovative PLUS+TON is completely scratch, stain and slip proof making it virtually impossible for any solvent or liquid such as fake tan, hair dye and nail varnish to penetrate the glazed finish. Spillages can simply be removed with water to leave the tray looking as good as you!